We made our way over to the EBN Congress in Brussels to speak about One Night In Hell, focusing on the combination digital innovation and entrepreneurship. Paul Laikin was the representative for Unanico and spoke about the progress of the project, along with Denis Pellerin fro the London Stereoscopic Company. 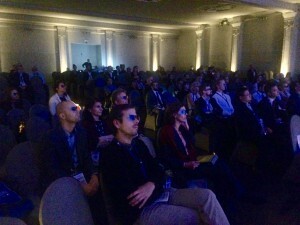 The talk was followed by a 3D screening of One Night in Hell. The EBN Congress took place on 29th – 30th October 2015. The conference focuses on European Entrepreneurship and the major aspects of innovation that form the market place.